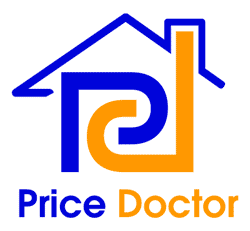 Price Doctor is a new online application that will allow homeowners and builders to effectively work out the price of building jobs, and order materials. Price Doctor helps the user to understand all the costs involved in home improvement projects, from basic DIY, to project management of an extension, and even self-build. Homeowners can also use it to compare builders’ quotes for their job. Builders can price the job using their own labour and material rates, together with the mark-up they need to cover overheads and profit. The system displays options at every stage, using pictures with captions. No building experience is required, nothing needs to be downloaded, and using it involves minimal computer skills. The user just clicks on the picture that matches the design and material they want, and then displays the total cost of the chosen extension. Other options available include access to labour costings, and materials breakdown lists. The basic design package is free to all users. Additional features are available for domestic through to commercial use, from £10 to £80. Home Improvement Doctor, which also owns the online advice site DIY Doctor, have developed Price Doctor as part of their campaign to improve the reputation of the building trade in this country. Director Mike Edwards explains “Price Doctor is a really important tool in our drive to arm the consumer with the information they need to avoid cowboy builders, and all the financial implications of that”. Recent reports indicate that 13% of homeowners have been affected by cowboy traders costing some £3.7 billon [Sainsbury’s Home Insurance]. The software has been in the planning or BETA stage for the last two years while it has been rigorously tested. Price Doctor developer Jim Gardner said “Ironically the fact that we wanted to make Price Doctor easy to use made building it more difficult. The information in the programme is incredibly detailed and comprehensive in order that it can cope with everything from a simple extension to a complete build, but we recognised that the system itself would have to be as easy to use as possible, so that anyone can use it, even if they have minimal computer skills”. Builders can use Price Doctor to accurately quote for jobs ensuring that their prices are fair and make a reasonable profit, avoiding those ‘guestimates’ on time and materials that can cost them money. Quotes can be prepared immediately and left with the customer at the first meeting. Mike Edwards says “Creating the quote with the customer there to make choices in design, cuts down on office paperwork for the builder, and allows for alternative materials and dimensions to be considered to fit in with the customer’s budget. This creates complete transparency in the quoting process and builds trust in the builder/customer relationship from the beginning. The labour list itemises all of the different trades involved in the build and gives a total cost per trade as well as how long each should take in days. The materials list gives a complete overview of all the construction materials needed to complete the chosen job including individual quantities and prices for each item. It automatically includes all new regulation calculations for home insulation. The Trade version allows tradesmen to alter the materials and cost per hour quoted by Price Doctor to take account of their own pay rates and trade discounts on materials. No downloads are necessary and customers simply log into the Price Doctor page to start using the product. Completed projects can be saved and edited later to adjust both design and price.